Many of us have gone to the drugstore to pick up a pain reliever/fever reducer or cold medicine. After all, there’s no need to make a trip to the doctor if it’s just a common cold or headache, right? For the most part, if properly used and not over-used, OTC’s can do the trick in a pinch, but it is important to note that it should never substitute for finding out what the problem is if symptoms continue. There are also concerns to be aware of with over the counter medication in regards to overdose and adverse effects. One of the first legal decisions made about medicines happened in 1704 by the House Of Lords in Great Britain. This was in response to the College of Physicians having a monopoly on the medications that were dispensed, and the decision gave apothecaries (pharmacies) the right to sell medicine without the prescription of a doctor. This covered many medicines until 1860 when it was decided that the medicines which had the highest potential for addiction and harm would be regulated through medical doctors. However, this still left many medicines available over the counter. Regulation of OTC’s in the United States is done by the FDA (Food and Drug administration) and it is required that all information about the drug including active and inactive ingredients as well as clearly marked age-appropriate doses. Drug warnings are also required to be listed. However, many people still mistake the term “over the counter” for being safe to take in higher doses, which could not be farther from the truth. There are also interactions with other drugs as well as certain foods that may be harmful. While it is not necessary to completely eliminate the use of non-prescription medicine, it is essential to be aware of potential dangers. Anything that is done in excess can cause a harmful reaction in the human body. This is especially true with medications. Side effects happen with certain people and can keep the medication from achieving its desired effect.common side effect of allergy medication is drowsiness. Some are more inconvenient than harmful, but all should be taken seriously especially if the discomfort from the side effect outweighs the original illness. Drug to drug interactions are generally classified into three different types: alteration, duplication, and opposition. Alteration means that one drug affects the way another drug is absorbed into the bloodstream. An example of this would be antacids that affect the way certain antibiotics are absorbed. 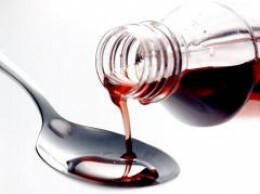 Duplication is especially a concern when combining cold medicines and pain relievers, as many have the same or similar ingredients, making a bigger risk for overdose. There is no real evidence of OTC’s interacting negatively with food, however it is important to follow the directions on the medicine label in regards to whether it should be taken on an empty stomach or directly after eating. Drugs differ in their absorption ability, and some work better when taken with food than others. So which groups have a potential for harmful adverse reactions? Obviously not everyone is in danger from OTC’s or no one would be buying them. While healthy people can have a bad reaction to something now and again, there are certain ages and conditions where there is a greater risk. This includes infants and young children, adults over the age of sixty, and people who are already taking prescription medicines. There are also conditions andchronic illnesses that can put a person in greater danger of adverse effects. Some of the conditions that can put a person at a higher risk for a bad reaction to over the counter medicines include any type of bleeding disorder, which includes disorders that cause problems with blood clotting. Liver, kidney, and heart conditions can also cause adverse effects. People with asthma and other breathing difficulties should also be wary, especially if other medication is being taken. Anyone with an immune system disorder or central nervous system issues needs to take caution when using OTC’s. Other diseases or disorders that should consult the doctor before even purchasing OTC’s are Parkinson’s, glaucoma, epilepsy, diabetes, thyroid issues and psychiatric problems. This is not to say that people with these conditions are prohibited altogether from taking over the counter medication. It does however mean that there are potential interactions and side effects that will have to be considered before taking them. Anyone that has a history of allergies or allergic reactions should always refer to a doctor first. These are just some of the issues that can cause problems and adverse reactions with taking OTC’s. Even if there are no present problems, healthy people with no apparent medical concerns can still have bad side effects, and its important to be aware of them – and how to solve the problem if it happens. Two of the most common over the counter medications used today are antihistamines (for allergy/cold symptoms) and acetaminophen (pain reliever/fever reducer). These are also the ones that have the most potential for overdose. Acetaminophen side effects are usually attributed to taking more than the recommended dosage or continuing the dosages for a long period of time. The effects can range from mild discomfort (usually abdominal) to serious toxicity of the liver and kidneys. Nausea, vomiting, yellowing of the skin and abdominal pain are some signs to cause concern and worst cases can lead to heart failure and death. There are many types of antihistamines available over the counter, two of the most common being brompheniramine and diphenhydramine (Benadryl). Most side effects are expected and can be dealt with such as sleepiness, blurred vision and dryness of the mouth. However, these types of drugs are especially harmful to those who are taking monoamine oxidase inhibitors such as Niamid or Drazine and should be avoided. Of course, as with any medicine, if the recommended dosage is exceeded, the chances of side effects increases. The smartest thing to do when it comes to OTC’s is to use common sense and caution. People sometimes mistakenly believe that because a medicine can be purchased without a prescription that it is safe in any amount. This could not be further from the truth as a lot of harmful side effects are a direct result of overdose. Many cold medicines have acetaminophen in them as well, and taking Tylenol along with one of these can cause an overdose. Other things to consider are alcohol consumption, which affects the body’s ability to utilize the medication and will often increase the side effects of drowsiness or upset stomach. 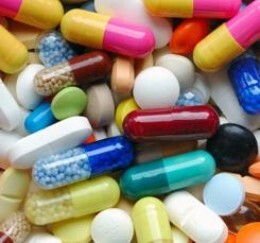 Most important – always consult a doctor about all medications, including OTC’s. Your health may depend on it.